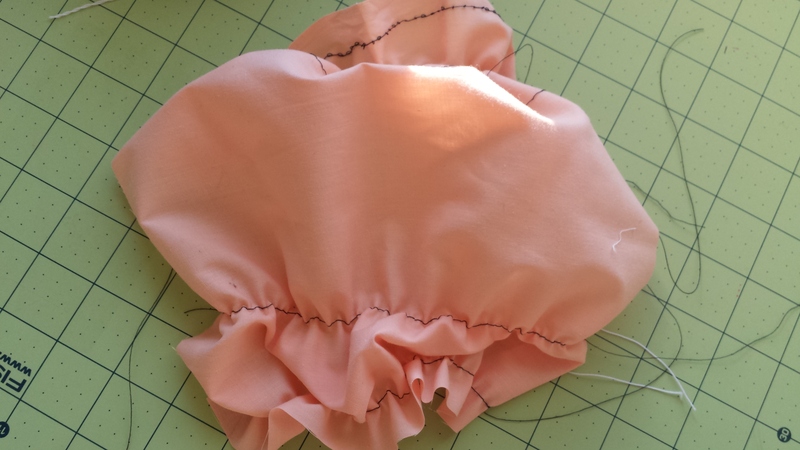 Not quite a tutorial, but I’m going to show you how I made my ruffle skirt. I’ve been asking around and looking all over the internet for a tutorial but and I finally found one that explained things well enough. However, I was nervous about the 1.5x around the waist being enough (my body proportions are a pain at times) so I took everything into consideration and did things my way. Elastic thread. I vaguely recall hearing about it before, but I believe it was referring to shirring and smocking. Well, apparently it works for making ruffles, too. 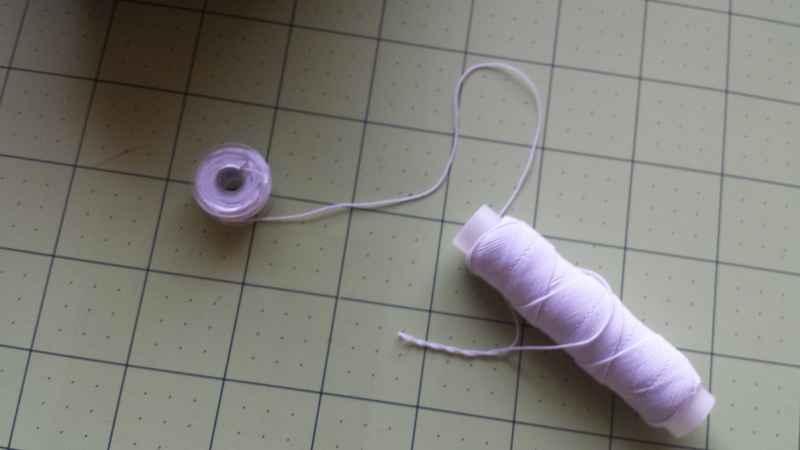 You have to hand wind it (not tightly) on the bobbin and use a top thread that coordinates with whatever your sewing. Also use the longest stitch on your machine. My machine has a bottom load bobbin. It is my understanding that top load bobbins may work a little differently. I didn’t have any problems, though, so I hope you don’t either. Of course I had to experiment on a scrap piece of fabric. Total success. I’m gaining confidence now. Now for the real piece of fabric. I’ve been eyeballing this fabric for a year while now and I’ve finally gotten a good use for it. It’s a bottom weight fabric so it’s thick enough to not be see through but not so thick that if I wanted to wear it during the summer without tights I could. Since I didn’t trust myself to do the 1.5x my waist measurement I decided to get 2 yards (57″ W) of fabric. The grain of the fabric seemed multi directional, so I wasn’t too concerned with how I cut it. Once I got it home and was able to lay everything out I only needed half (2 yards by 28.5″). I cut along the fold and decided that if I mess up I can try again. If I do it correctly I have extra for accessories or another project. This fabric was fraying terrible so for a nice finished seam I used my serger for all three edges. 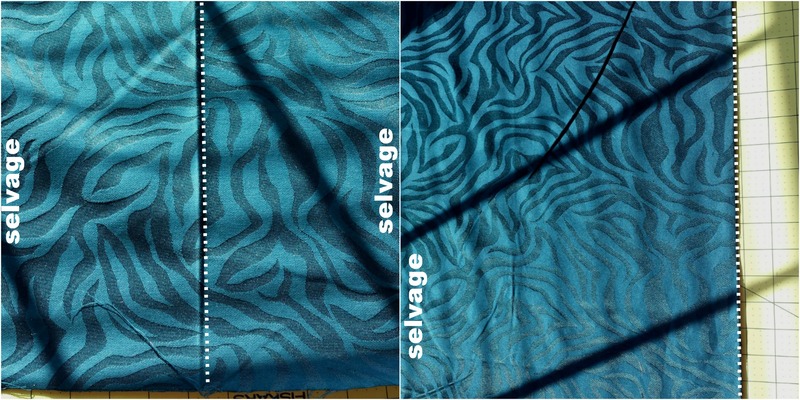 I left the selvage edge as is. That’s the edge I wanted to use for the elastic waist. Now for the moment of truth. For my waist band I used a black 2 inch by 2 yards piece of elastic. The rule for measuring and elastic waistband is 1-2 inches less than the width of where the elastic is to rest. 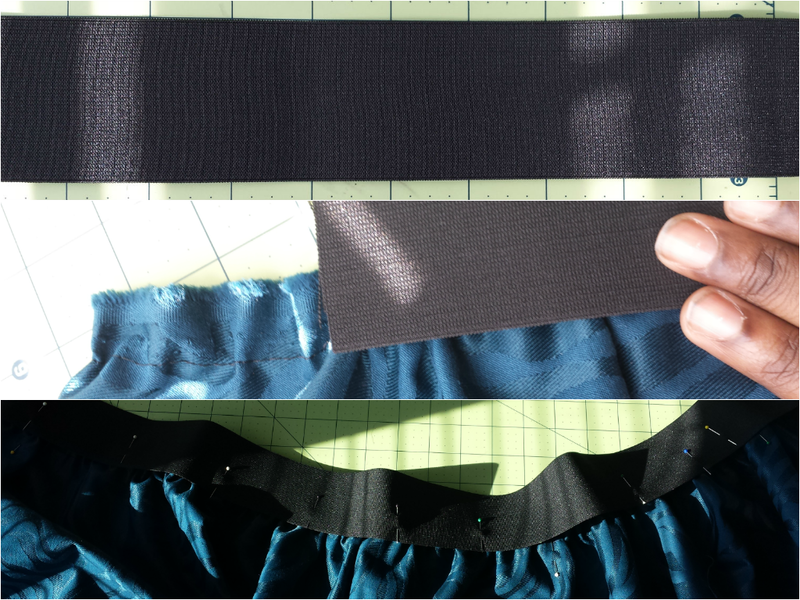 If your waist is 29 inches, cut a 27 or 28 inch piece of elastic plus your seam allowances. 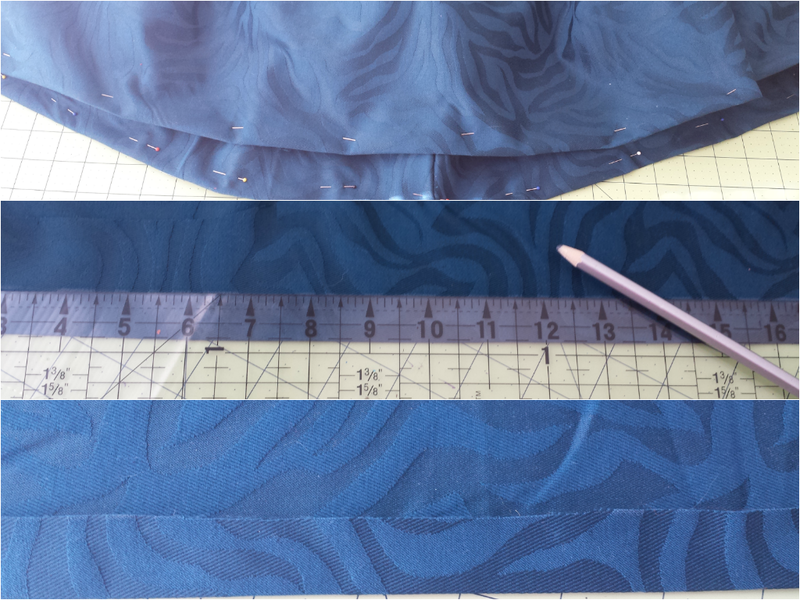 Once I had my piece cut I place it along the top of my fabric. The fabric was longer than the waistband (which I expected) so I made small pleats along the edge and played around with the ruffles using straight pins to keep everything in place. 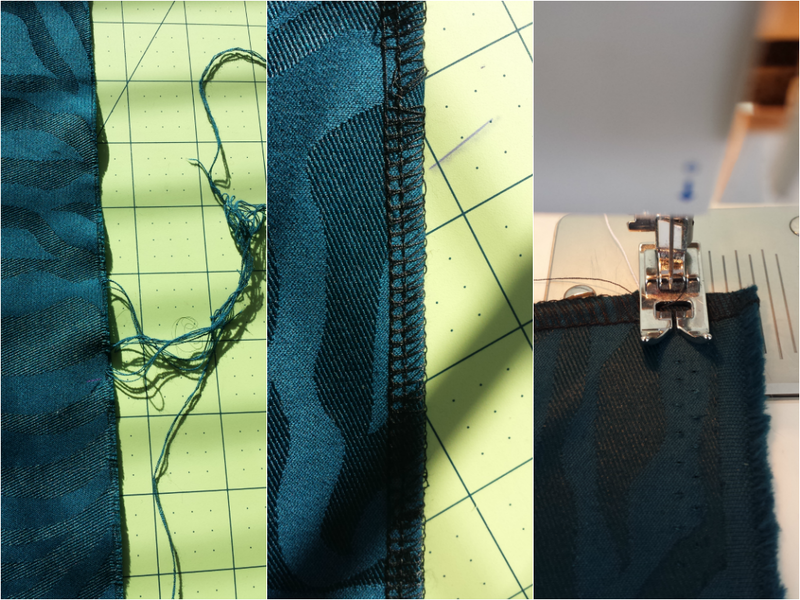 Once I was satisfied I pinned the elastic to the fabric careful to place the edge just below where I sewed the elastic thread so that it wouldn’t show. With pins in place it was off to the sewing machine. Note: use regular thread for you bobbin from here on out. Sewing close to the edge, I was careful to keep the elastic thread line I sewed earlier under the elastic waistband. I was very pleased with how it came out. 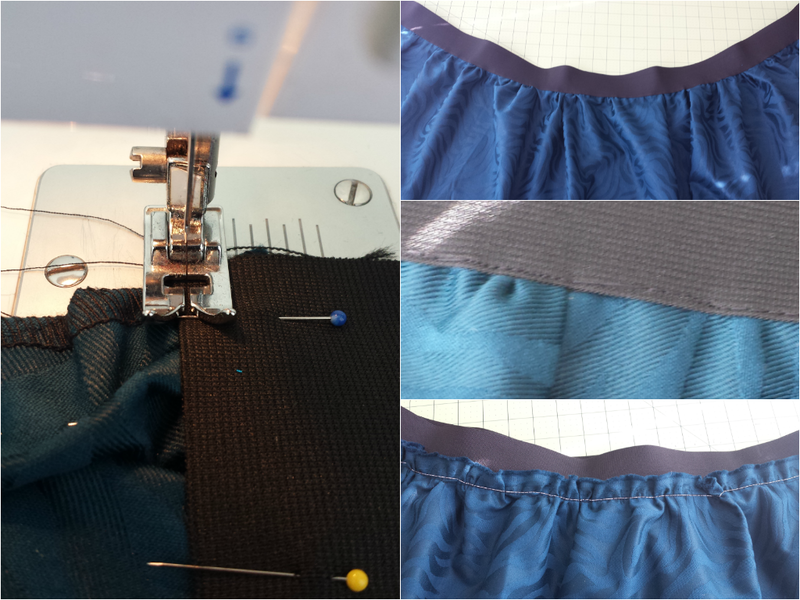 The back of the waistband wasn’t very pretty to begin with, but if you trim closely to the seam it looks nicer. You could also fold it over and sew again. Note: I used the selvage edge for the waistband because it wouldn’t fray, but I think next I’ll go ahead and serge this edge as well. I sewed the edge across and the skirt was nearly finished. I measured the waistband to fit around my hips, but after putting it on I decided it looked better around my waist. Either way it was too wide. My solution? 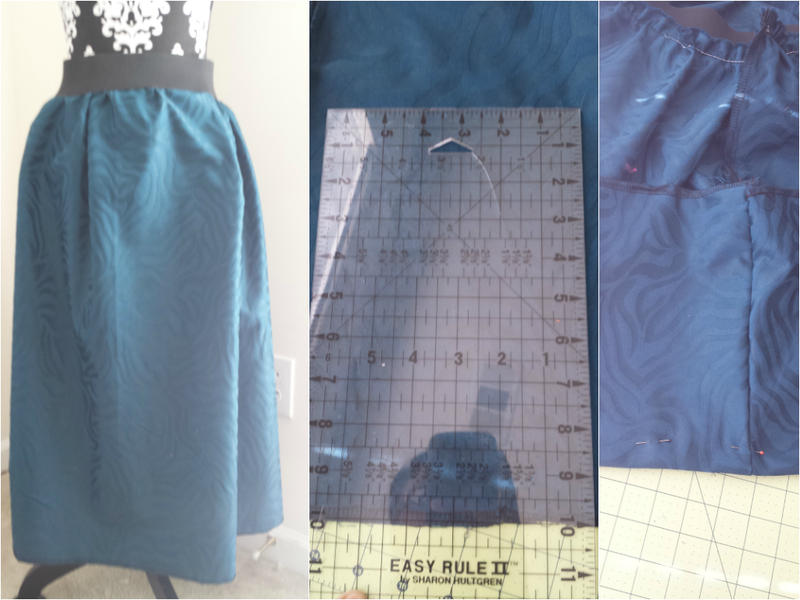 I hadn’t sewn the skirt together yet (I used pins to wrap the skirt around Rebecca) so instead of remeasuring and cutting the whole skirt, I used about a 1.5″ seam allowance. Perfect fit. 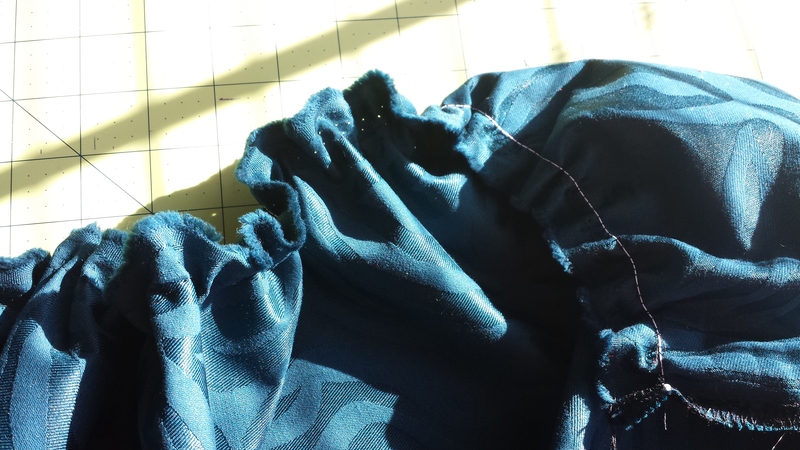 I sewed again close to the serged edge of the fabric in order to make the bottom flair out even more that the waist. I kept the original seam for the elastic and cut out a square in the elastic so as not to have a bunch of fabric along the waistline. The skirt was still long. I purposefully left it that way so that I could play with the length. 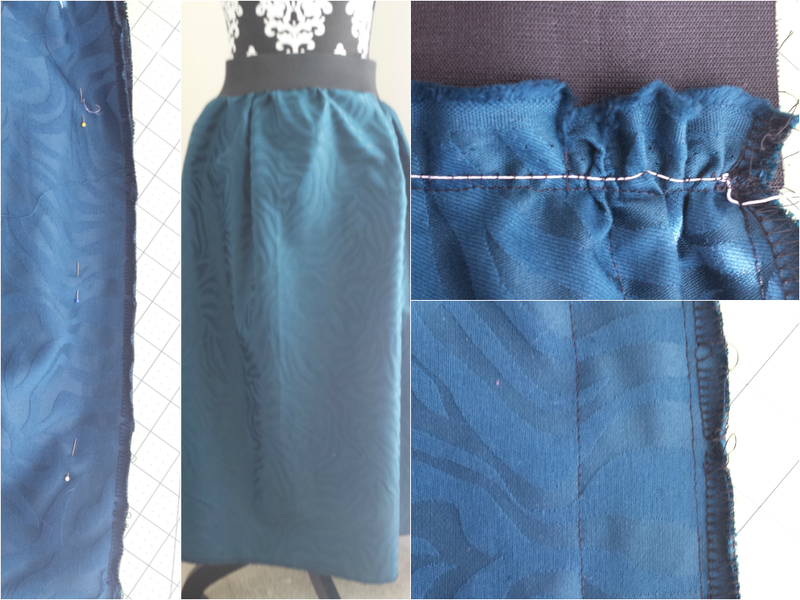 I like long skirts, but I wanted to see how the fabric fell before I made a hem. I put it on and put my finger on where I wanted the finished skirt to fall. Wearing the skirt and with my plastic ruler I measured from my finger to the bottom of the skirt. Taking off 10 inches made it the perfect length. 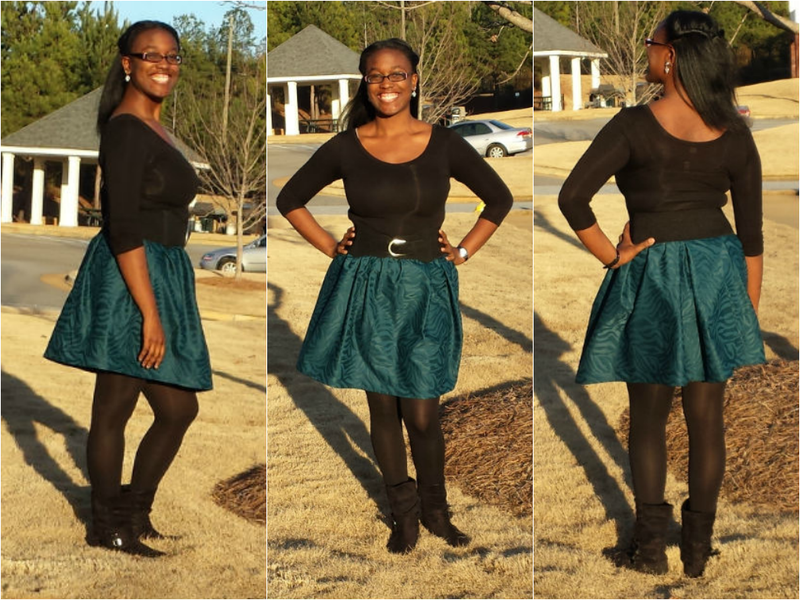 I marked 10″ from the bottom around the whole skirt and pinned everything in place. 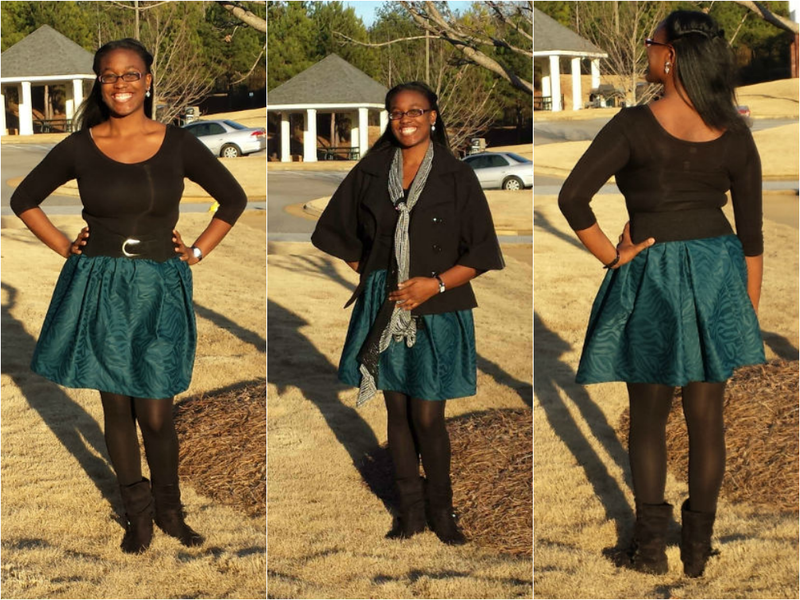 I tried the skirt on again just to be sure I was satisfied with the length. When I was, I ironed the crease, removed the pins, and marked 1 inch from the crease all the way around. I trimmed the access fabric away (accessories?) and finished my hem by folding the raw edge under, pressing, and sewing 1/4″ from the edge on the right side. Let me know what you think! I’m so please with how it turned out. I’m already planning another one in my head. This entry was posted in Clothing and tagged apparel, clothing, skirt, tutorial. Bookmark the permalink.